noted: What a difference a day makes! 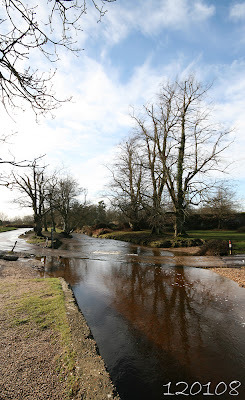 Went up to Moyles Court again this morning to check out the water levels in the ford. It was much dropped and Martha had a good bounce around and a paddle along with lots of stick saving! My canvases are just drying so I can't share yet, but they're looking nice and simple but really striking! Spent a bit of today learning a new technique! It's quite time consuming, but i'll hope to share that tomorrow too! Bought a little mini canvas myself today Katy. Won't be as good as your tho. Can't wait to see your new technique!